We are quick to give God praise when the blessings flow: when the checking account is full and running over; when the job is secure, and a promotion is on the horizon; when the salary is good; when our health is fine. But we have a tough time believing when those things aren't true. I confess to you, at times I've doubted God's purpose and promise. I say that to my own embarrassment. When things hadn't worked as I thought they would, when I received a no instead of a yes or a yes instead of a no as an answer to prayer, when I couldn't unravel a situation and fit it with the character of God . . . those have been times when I've said, "I know down inside this isn't right." (1) An unforgiving attitude. '...If you do not forgive, neither will your Father in Heaven forgive your trespasses' (Mark 11:26NKJV). 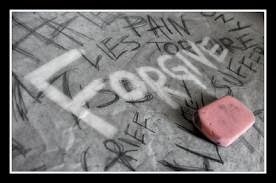 When the mention of someone's name triggers resentment, stop and pray, 'Father, I forgive them as You've forgiven me. Whatever I ask for myself in blessing, I ask for them in double measure.' When you retaliate, you deny God the right to show mercy and deal with the situation His way. Don't play God. You've received mercy - pass it on! (2) An unhealthy relationship. Paul writes, '...Bad company corrupts good character' (1 Corinthians 15:33 NLT). On the journey of life, you get to choose your travelling companions. If you give your time to those who aren't worthy of it, you've no right to complain. Become more selective. Choose your friends from among those who share your values, understand your God-given purpose and strengthen you. (3) An undecided heart. Paul writes, '...I am still not all I should be, but I am bringing all my energies to bear on this one thing: Forgetting the past and looking forward to what lies ahead, I strain to reach the end of the race and receive the prize...' (Philippians 3:13-14 TLB). A decided heart is the result of a made-up mind. It's what separates the winners from the losers. Pour your life into something more than self-interest; commit to a purpose that will outlive you! One very practical blessing is that God strengthens us as we lean on Him during delays. Isaiah 40:31 tells us that "those who wait for the Lord will gain new strength." We are given the metaphor of an eagle with wind beneath his wings. It is interesting to note that the words "wind" and "spirit" come from the same Greek word--pneuma. The spirit of God lifts us up, and His energy and strength sustain us as we abide in Him. When we are facing a difficult decision, the real key is learning to wait. There is no verse of Scripture that tells us to take control and fight our own battles. God is the one who fights them on our behalf (2 Chron. 20:15). We are to be patient and trust in Him.